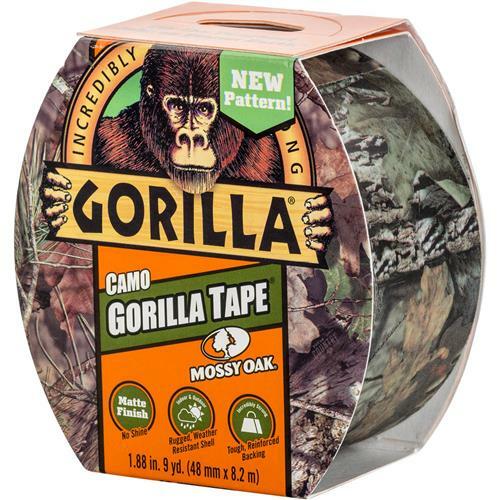 Camo Gorilla Tape, 9 yd. Gorilla Glue 6010901 - Camo Gorilla Tape, 9 yd. Gorilla Tough - now on a roll. Bonds to things ordinary tapes can't including brick, stucco, wood, and more. Made with double thick adhesive, strong reinforced backing, and a tough all-weather shell. It's the biggest, strongest thing to ever happen to tape. Twice as strong an adhesive as general purpose duct tape. Camo patterned, 9 yards.